VJR Consulting specializes in conducting high-quality research on youth and media. We operate at the intersection of policy, research, and communications. The firm is run by Vicky Rideout, who the New York Times says "has done pioneering research into patterns of technology use." Recent projects have included a major new survey about teen social media use and depression, a study of digital health use among teens and young adults, and a survey of elementary school students about bullying, kindness, and compassion. The research conducted by VJR Consulting is regularly referenced and quoted in the media. Topics such as social media and depression, digital health, and digital equity have garnered increased interest recently. In addition, Vicky Rideout occasionally writes about children and media for various blogs or journals. It's not often that public service campaigns get a platform as large as the one the NO MORE campaign got at the 2015 Super Bowl, when a NO MORE PSA on domestic violence aired before a huge television audience. The LA Times called it "the single most important thing on television this year" and MediaPost reported that it was the second-best-viewed ad in the Super Bowl! (Watch CNN's story about the ad and the NFL's decision to donate the airtime.) VJR Consulting is very proud to have been part of this campaign from the start, working with a coalition of domestic violence and sexual assault organizations to help develop and launch the NO MORE Project. We designed, recruited participants for, and facilitated strategic planning workshops with media and advertising experts; directed the formative consumer research including focus groups in New York, San Jose and Atlanta; oversaw an online survey to test specific concepts; wrote the strategic plan for the project; and helped negotiate media partnerships to secure free air time for the PSAs. We loved working with Cartoon Network and the Making Caring Common project at Harvard University on this nationally-representative, probability-based survey of 9- to 11-year-olds. The survey documents the number of kids that have witnessed or experienced bullying, as well as how many have tried to help someone who has been bullied. Read Vicky Rideout’s latest blog post on the London School of Economics’ site Parenting for a Digital Future. A recent survey of US teens and young adults on social media and mental health found that while 15% found social media made them feel worse when they were depressed, stressed or anxious, 27% said it made them feel better. Here Vicky Rideout presents the main findings from the survey which was sponsored by two organisations working to promote adolescent mental health, Hopelab and Well Being Trust. 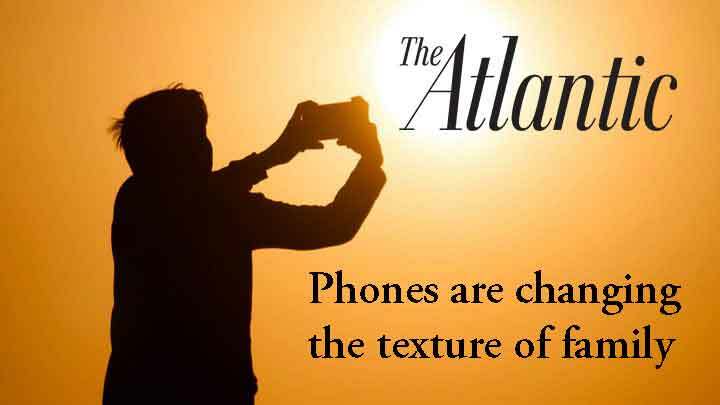 Read Vicky Rideout's comments about teens and smart phones in the August 2018 issue of the Atlantic.